Since our inception, we are engaged in presenting a wide range of excellent quality Batch Mix Plant Conveyor Belt. The provided belt is made using supreme quality materials and classy techniques, which are experiential by our expert professionals. The belt has a variety of small links with minute diameter and lesser length. Also, the paramount is made adhering to industry norms. 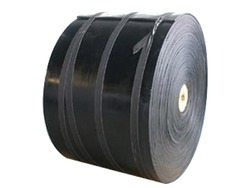 Furthermore, the given belt can be availed by our prestigious customers at reasonable prices. Looking for Batch Mix Plant Conveyor Belt ?